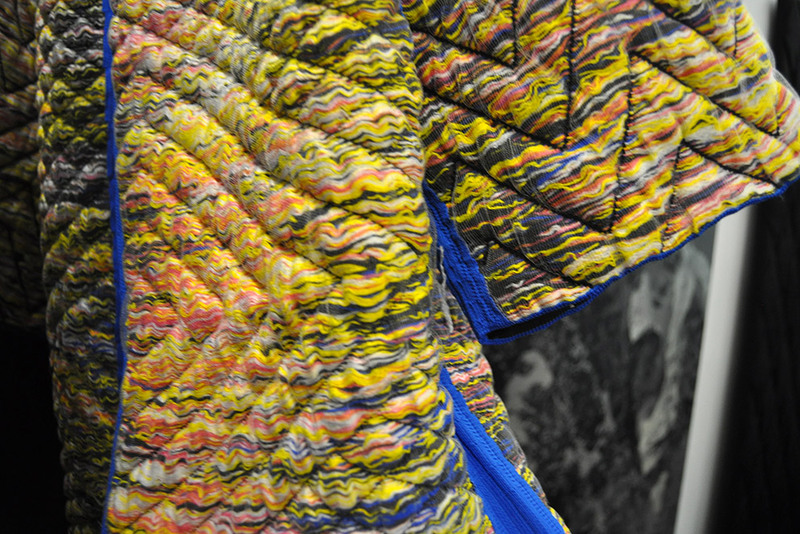 A glance round Techtextil in Frankfurt, the sector’s leading international trade fair, soon reveals that technical textiles are really on a cusp. There is a wealth of innovative products that set out to boost fields such as medicine, automaking, the aerospace industry, clothing, and in particular the interior design and architecture segments. For example, the integration of yarns that conduct data and electricity makes technical textiles highly appealing at present, for example for sensor applications. We present the sheer diversity of knitted, woven and laid innovations. 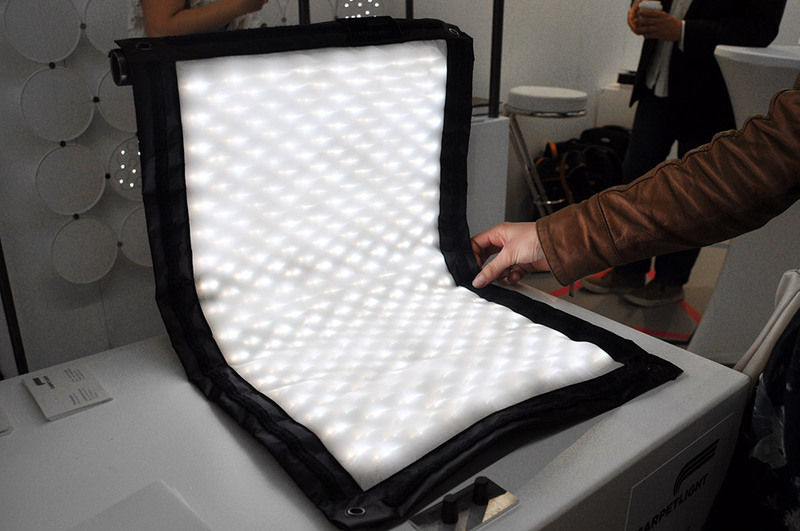 The growing spread of LEDs and the ease with which they can be used are changing the textile world, too. 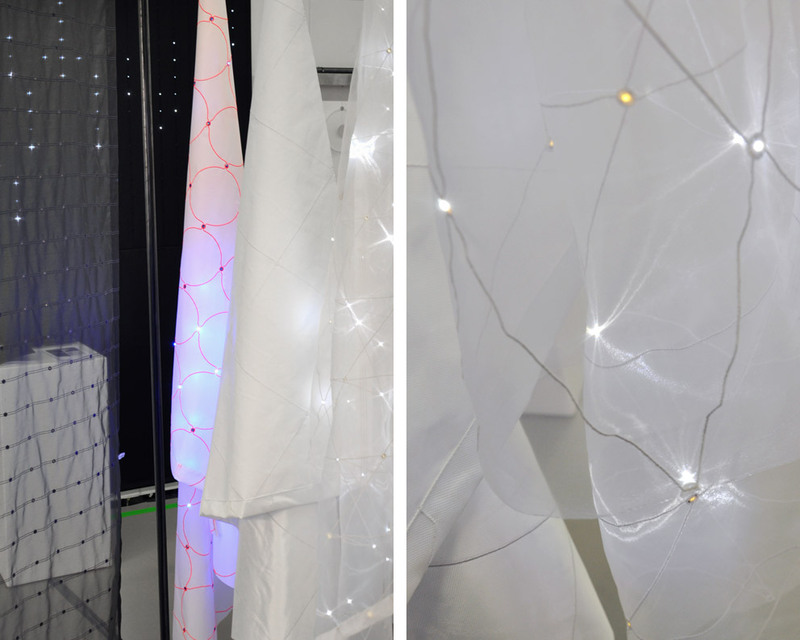 About two years ago, Création Baumann teamed up with lace makers Forster Rohner from St. Gallen, Switzerland, to present a curtain that integrated LEDs. Now Forster Rohner is presenting a similar product of its own and offers it in four different patterns specifically for guidance systems or ad displays. The special trick: You can have the LEDs light up at individual points you define – and the colors can be varied, too. Götz Schmidt zur Nedden has marketed Carpetlight, a carpet that he and his business partner Till Sadlowski intend to use on film sets. As lighting engineers who have already collaborated with directors such as Roman Polanski, Quentin Tarantino and Wes Anderson, they know exactly what a set requires. The illuminated mesh covered in textile can be laid at will, whereby both the light intensity and the color can be changed as required. 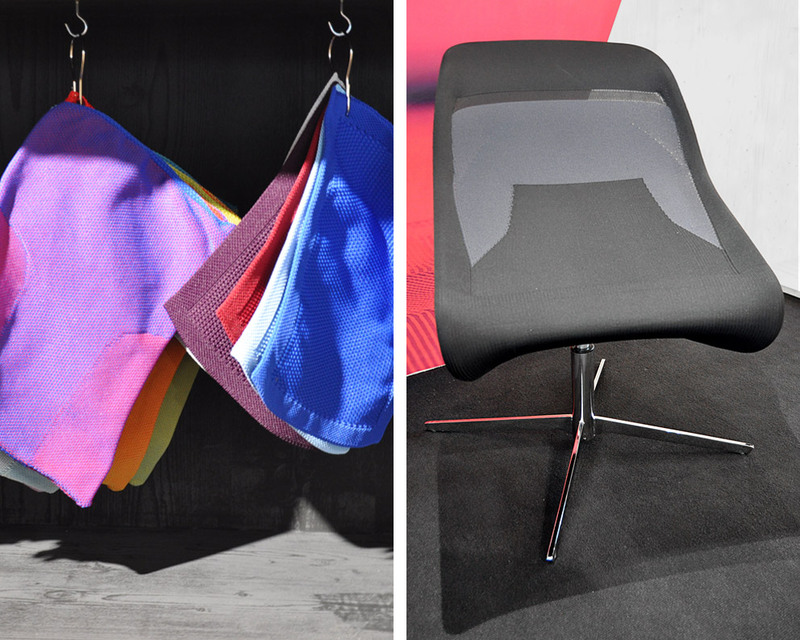 At Techtextil there is many a new innovative fabric waiting for furniture designers to discover it. 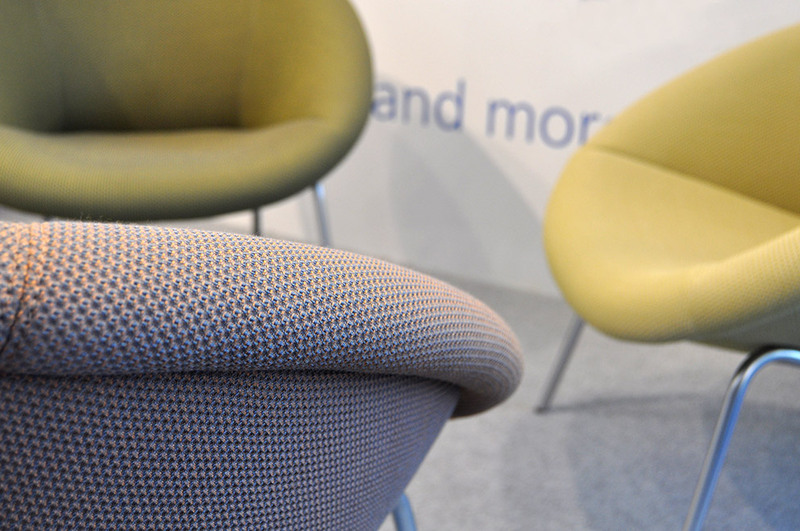 For example, Austrian company Kobleder, which has already collaborated with Vitra on the Bouroullec brothers “Slow Chair”, has flat knitted products on the stand that stretch more or less depending on the zone. The 3D space fabrics such as are used in medical applications today (e.g., in bandages) are no doubt also of interest for furniture design, as you can create exciting textures, visuals and haptics using them. At the booth of Korean knitting machine makers Shima Seiki you can enjoy the feel of those wooly soft thick fabrics that will soon be being used by De Padova. Italy’s Redaelli is exhibiting at the same booth – its focus is on high-grade velvet. Art Director Marko Stephan is especially delighted that he discovered so many velvet covers at this year’s Salone in Milan. 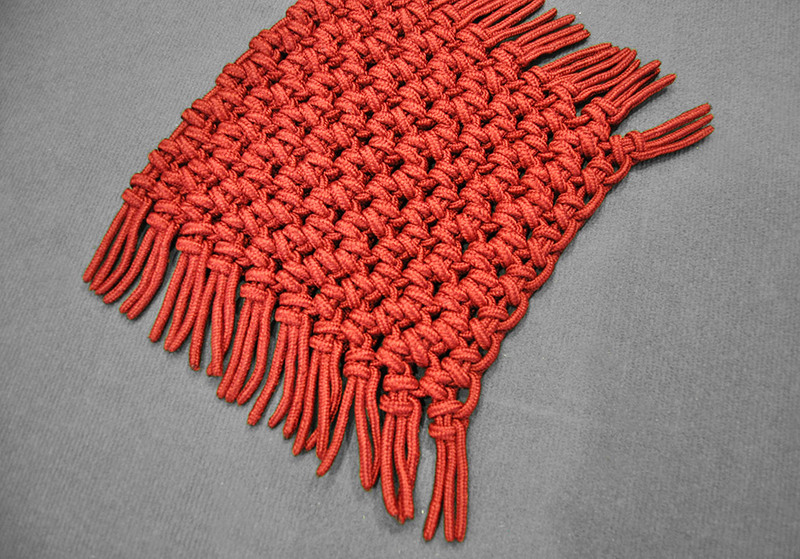 Another Italian company, Essegomma, produces an extra-soft polypropylene yarn suitable for use outdoors. Essegomma is already working together with manufacturers such as Unopiù, Minotti, Exteta, and B&B Italia. Another real highlight, albeit seen more from a ‘green’ point of view, is being fielded by Switzerland’s Climatex company. 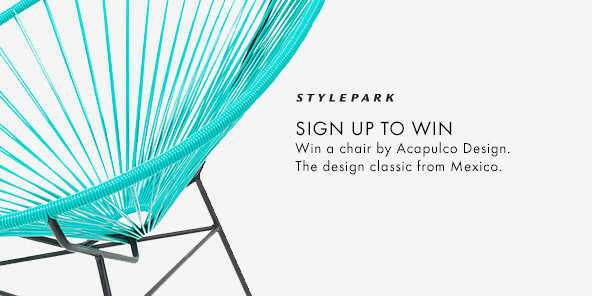 They weave artificial and natural fibers together to create fabrics for covers that, after use, can be re-injected into the raw materials cycle in line with the cradle-to-cradle principle – meaning you can sit down and really enjoy using such resource-saving upholstery. 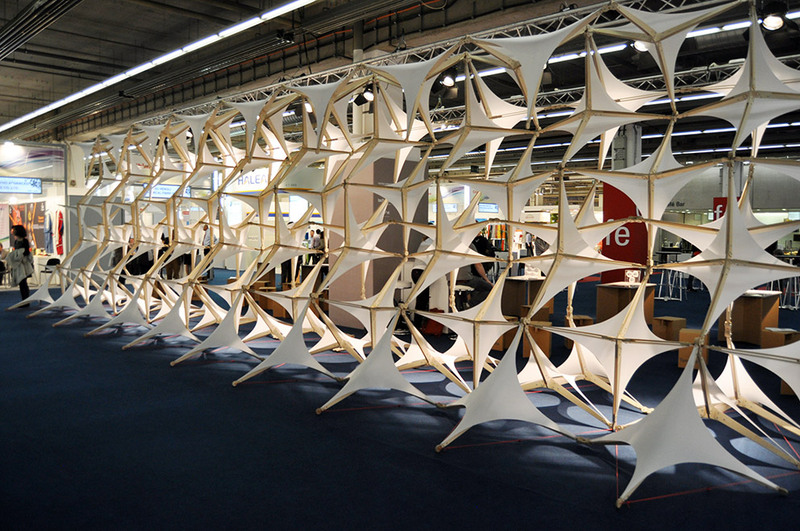 Flexible membrane fabrics have an important role to play when it comes to textile architectures, for example for organically shaped architectures such as those for which Zaha Hadid is famous. While companies such as Mehler, Sioen and Serge Ferrari offer polyester tarps with a PVC coating, Saint Gobain boasts an expensive fiberglass membrane complete with a polytetrafluoroethylene coating, which, unlike PVC membranes, is less prone to tears. 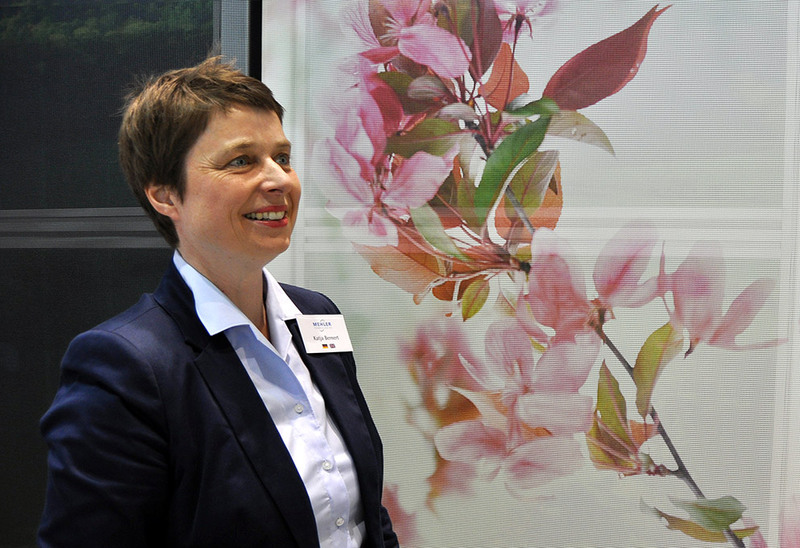 Above all in the Middle East, clients are interested in light textile structures owing to ambient climatic conditions there, explains Katja Bernert at the Mehler booth – it’s currently causing quite a stir with a Nano-coated membrane. Bernert raves about one of the stadiums planned for the 2022 FIFA World Cup in Qatar, which will look like a black out-sized Bedouin tent. Textile architecture of course also includes textile-reinforced concrete. 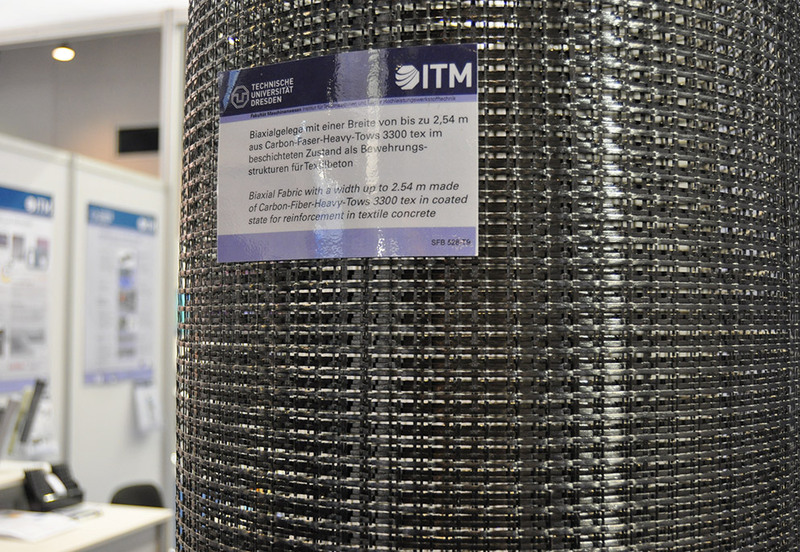 To this end, the reinforcing steel is replaced by matrix-like mats made of carbon fibers – and as a result the concrete can be especially light and thin while still being structurally sound. And any number of shapes are possible. The trailblazer here is Dresden Technical University, which has set up a subsidiary that is cooperating with other companies and marketing the innovation under the umbrella brand of “Tudalit”. Back in June 2014, Tudalit received approval from DIBt, the German Centre of Competence for Construction, for use as curved reinforcements in tensile zones. Since then it has mainly been used for difficult restoration projects involving walls and ceilings. However, the experts are busy developing stronger versions of the matting to improve its load-bearing properties, explains TU Berlin’s Steffen Rittner. First Prize in the “Materials Innovation” category went to young Hungarian student Judit Eszter Kárpáti of Budapest’s Moholy-Nagy University: She used sonic waves to stimulate a textile electrically, which thereupon changes its colors and pattern. 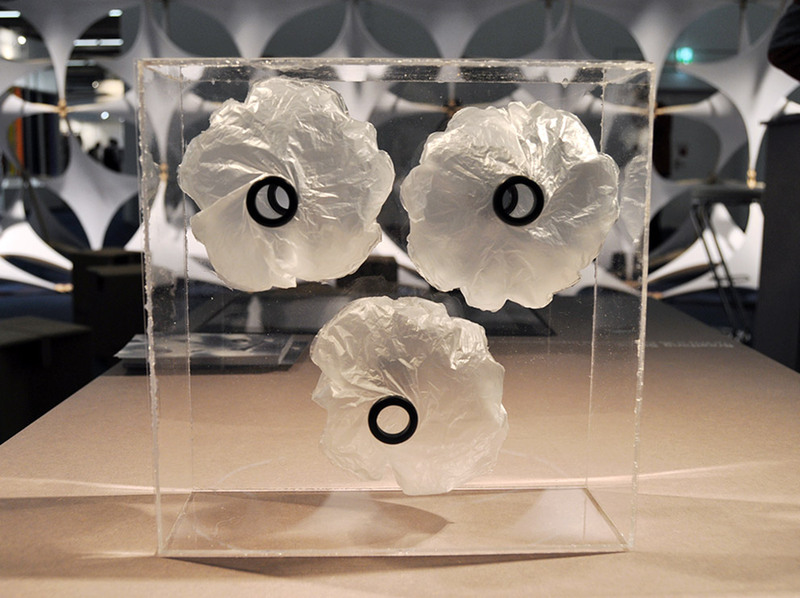 In the form of his “Breathing Skins”, Tobias Becker came up with what is presumably the most exciting innovation of all: A student at the University of Stuttgart, he took small air bubbles made of common plastic foil and combined them to form a façade such as to regulate the way air is exchanged between rooms. If you don’t have an opportunity to view “Breathing Skins” for yourselves at Techtextil, don’t worry as they will be on display in a few weeks’ time outside the ILEK in Stuttgart, where an entire pavilion will be built using a total of 3,600 of the breathing skins. The competition on “Textile Structures for new Building” open to students and organized by the Frankfurt Trade Fair for the 13th time this year, supported this time by Belgian association Tensinet and ILEK, the Institute for Lightweight Structures and Conceptual Design (ILEK) at the University of Stuttgart, take a somewhat longer view of things. As regards the future, above all three entries are worthy of mention: A group of students at Frankfurt’s University of Applied Sciences has managed to tackle the issue of compound construction materials and transform microstructures into macrostructures – with their “Fabric Foam”. The foam-filled textile hose is woven and knotted to create a huge, room-high basket with a seat in it, and it received a Special Commendation in the “Micro-Architecture” category.